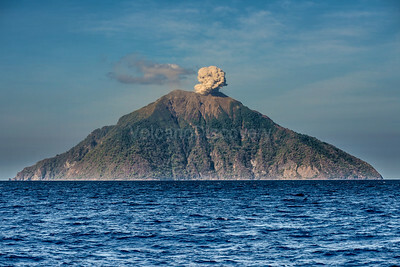 Batu Tara volcano forms the small, uninhabited island of Komba in the Flores Sea. It is the peak of a mostly submerged, active stratovolcano, which in recent years has been in semi-permanent strombolian eruption. 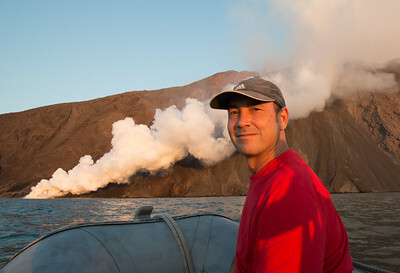 In the evening twilight, the lava bombs ejected by a typical explosion become visible. 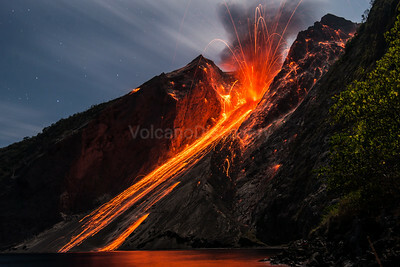 Beginning of a typical eruption of the volcano in the evening. 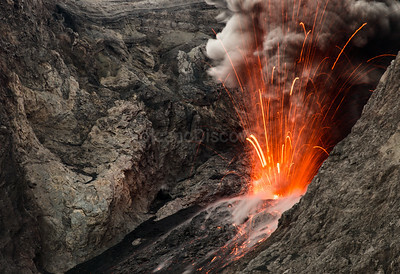 The same eruption a second later as the bombs continue to fly around and an ash plume rises from the vent. 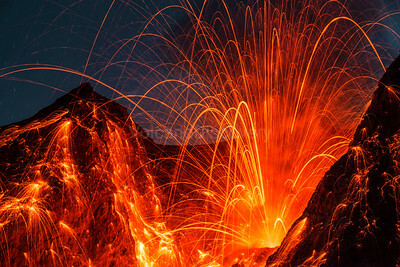 A large explosion with loud detonation illuminates the night. 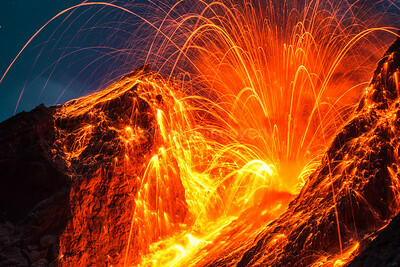 Glowing lava bombs land all over the crater and the outer slopes. Some of them nearly reach the observation area on a narrow stretch of shore. 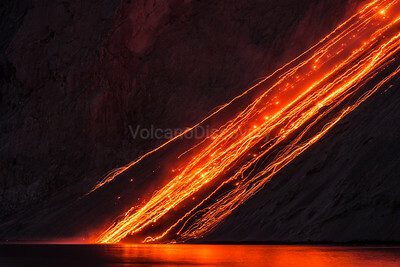 A stronger explosion is sending hundreds of glowing bombs sliding down the steep sciara slope towards the sea. Full moon illuminates the scene. 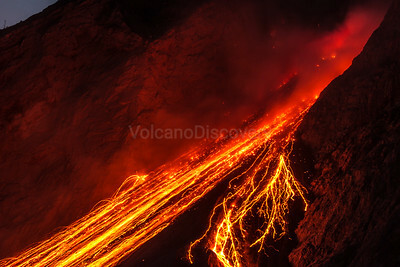 The "sciara" is a slope at the natural angle of repose beneath the active crater, formed by accumulated ash and scoria. 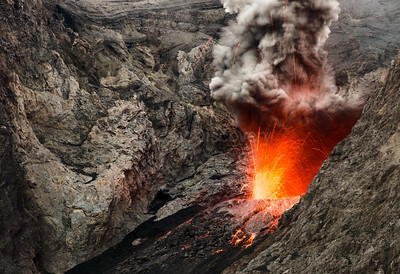 It serves as a gliding path for lava bombs ejected from the crater to roll and slide down to the shore and into the sea. 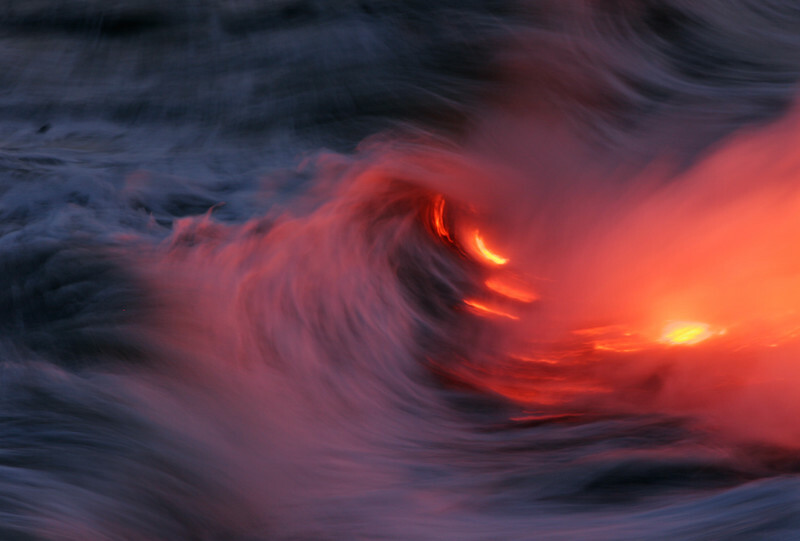 Countless lava bombs leave their traces as they slide down the sciara of Batu Tara towards shore. 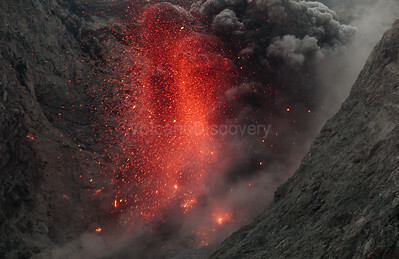 Another very strong eruption of Batu Tara fills the crater area and beyond with impacts of glowing lava bombs.